Contest: WIN: the Tennessee Outfitters Giveaway! 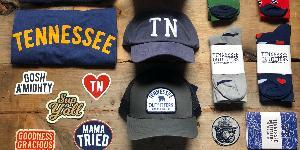 WIN: the Tennessee Outfitters Giveaway! Prize: Prize pack includes: one t-shirt, one hat, one pair of socks, one koozie, one keychain, six different decals. Statistics: This contest was opened by 117 and entered by 8 ContestChest.com members. 7% of those who opened the contest, entered it.